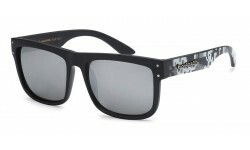 Check out these soft touch non logo sport sunglasses! The colors are two tone with black frame. The lens are smoke and is an excellent quality style. Order by the dozen now!